Among its most notable characteristics, aluminum is a lightweight material that is easy to heat and shape. After processing, it can be used in a range of applications, such as for curtain walls, car radiators, and consumer electronics product shells. In the manufacturing of aluminum products, cutters are the primary tool used to cut products into the desired shape and size. For this task, cutting speed and accuracy are critical factors of yield and quality. Presently in automated cutting operations, most aluminum cutting machines use PLCs to control the various mechanical components. However, the scan cycle of a typical PLC is in the millisecond range, which is insufficient for aluminum manufacturing because this slow cycle speed can easily lead to defective products. In addition, PLCs that use ladder diagram (LD) programming lack the flexibility required to handle complex algorithms. This makes it relatively difficult to improve the speed and accuracy of aluminum cutting machines. Advantech's solution to this problem integrates the APAX-5580 controller with the CODESYS real-time kernel, providing a stable hardware control platform and real-time kernel for high-speed scanning. The solution also offers a flexible programming environment, makes it easy to set up/update/maintain electronic cams, and provides various other features that make it convenient for equipment manufacturers to develop high-performance aluminum cutting machines that deliver stable cutting results, thus enhancing their market competitiveness. Tianjin Bai Wo bo Si Technology is an industrial equipment manufacturer with a professional R&D team engaged in industrial control products and related technical services. The company was developing an aluminum pipe cutting machine for automotive aluminum radiators, but encountered problems at the testing stage, with the prototype failing to achieve the expected speed and accuracy. For cutting operations, the machine’s specifications were initially planned based on a PLC with a Japanese servo motor. However, it was found that the aluminum pipe length increased with the machine cutting time when this PLC was used. Furthermore, there were limitations with the PLC programming environment that made it difficult to optimize the machine functions. The company decided to abandon PLC and sought to find a stable and easy-to-develop software/hardware solution. For the software aspect, compliance with the IEC 61131-3 standard was paramount to ensure that the programming environment would be flexible. It would also need to support LD and structured text (ST) for programming in order to facilitate function design, particularly for the electronic cams. As for hardware, the new solution would need to provide a control platform that guarantees stability and timeliness for digital I/O signal collection to enable machine optimization. Other necessities were support of the EtherCAT protocol, a pulse conversion module for connecting the servo motor, and an industrial-grade panel computer as the human­–machine interface (HMI). 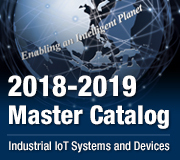 Advantech’s solution integrates the CODESYS real-time kernel with the APAX-5580 controller, APAX-5000 series I/O modules, and the WOP-1070CK operator panel. This total solution successfully improved the speed and accuracy of the customer’s aluminum pipe cutting machines. In addition to the industrial-grade WOP-1070CK as the machine’s HMI, the APAX-5580 control platform—with Windows Embedded Standard 7 (WES7) and the CODESYS real-time kernel installed—leverages Advantech’s unique dual-core optimization mechanism thus ensuring stability and responsiveness. With support for the EtherCAT protocol, the APAX-5580 was able to connect to the selected servo motor and the third-party partner's pulse conversion module. This comprehensive hardware/software integration solution significantly reduced the system scanning cycle time from 3~4 ms to 0.5 ms, accelerating not only the response speed but also enhancing the cutting quality and efficiency of the aluminum pipe cutter. WES7 and CODESYS real-time kernel are optimized software systems. 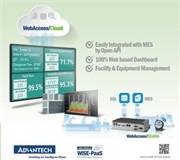 Advantech has taken measures, such as deleting unnecessary functions and configuring the dual-core processor to independently run WES7 and CODESYS, to improve system speed. This reduced the scanning cycle, thus improving the cutting speed and accuracy of the aluminum pipe cutting machine. 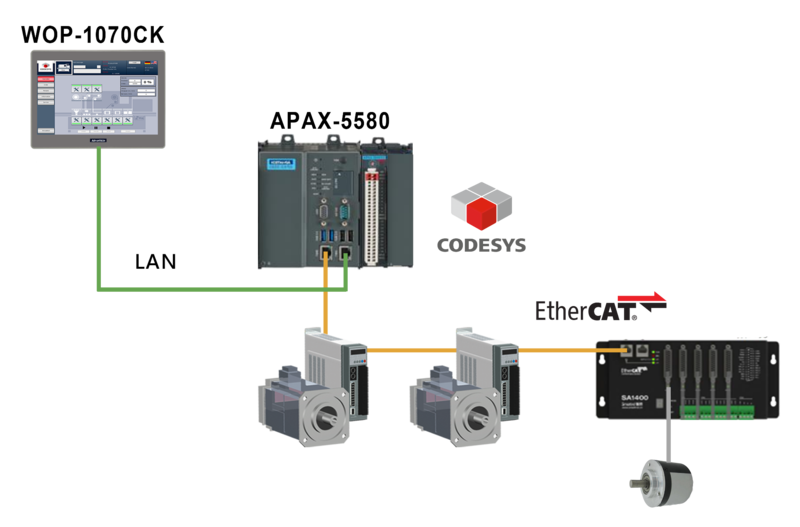 CODESYS is in line with the IEC 61131-3 standard, which means that it provides the ideal software development environment for industrial control. Supporting six standard programming languages ​​(IL/ST/FBD/LD/CFC/SFC), it allows project developers to use the LD language they are familiar with or the ST language when complex algorithms are required. 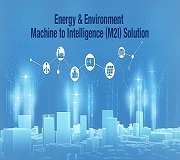 Machine development projects can thus be completed as soon as possible. In this case, CODESYS fulfilled the project’s high-speed cutting requirements by providing virtual encoder and electronic cam functions. The APAX-5580 is a PC-based PAC motion control platform. It has both traditional PLC and industrial computer functionality and delivers excellent performance. Its modularized architecture gives engineers an open environment for easily adding and removing modules during system design. As exemplified in this project, adding the APAX-5402 expansion module, APAX-5045 12-ch digital input/12-ch digital output module allowed the system to be utilized to collect various types of information from various types of equipment, thus providing comprehensive information on machine status for users. Finally, the WOP-1070CK was seamlessly integrated into the customer’s industrial equipment to provide an easy-to-operate panel. This unit was selected because its rugged features make it be the ideal HMI for long-term operation in harsh environments. Applications in the field of industrial automation control invariably focus on speed and accuracy. However, machines that are subject to many restrictions can create obstacles that complicate system development. The system integrator of this project was restricted by the PLC programming environment, lack of functions on the servo motor, and no immediate technical support from the supplier, all of which were detrimental to the efficiency and output quality of the aluminum pipe cutting machine. 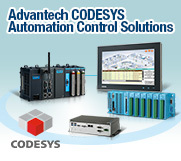 With a wealth of experience in industrial control and modularized standard products, Advantech was able to quickly configure this integrated APAX/CODESYS solution to meet the manufacturer’s need for a stable, real-time system that could be operated flexibly. With this optimized solution, scans can be completed within 0.5 ms while maintaining system stability. This is significantly faster than the original request (1 ms system scanning cycle). 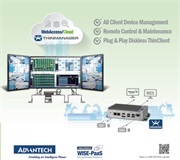 Advantech's professional teams worldwide provide a wealth of services, including product testing, software training, and project system configuration. Since the immediate technical support services ensured that the project was completed smoothly, the equipment manufacturer was able to upgrade of their high-speed aluminum pipe cutting machine on schedule.